J.P. Shaw, Regional Director (East), Incredible India, spoke to BE’s Ankita Chakraborty regarding the key measures undertaken to boost the Indian tourism sector. Q. How much has the GST affected the tourism sector? A. I feel that the GST is not going to affect the tourism sector too much. It is only in the initial phases that certain problems can be expected. The 28% GST is mainly for the hotel sector, with room tariffs above Rs.7500. Room tariffs with less than Rs.1000 have no GST. Post-GST implementation, we have organised special workshops for the travel and hospitality sector so that they are familiar with the new rules. In the eastern region, we have organised GST workshops in Kolkata, Ranchi, Bhubaneswar and Patna, wherein the concerned authorities were present to clarify the participants’ queries regarding room tariffs, charges and other service taxes. The participants were mainly from the hotel sector. We also had participation of travel agents and tour and transport operators. Q. The recent uproar in Darjeeling has affected the tourism sector at large. How is it recuperating? A. The recent issues in Darjeeling have affected the tourism sector in West Bengal. Talks are also going on to revive tourism in Darjeeling as the issue cannot continue permanently. As Darjeeling’s main source of income is the two ‘Ts’, namely, tea and tourism, it may stall the region’s economy. Hopefully, Darjeeling will start witnessing an inflow of tourism during the festive season. Sikkim has also faced certain losses due to this tension as the route to Darjeeling and Sikkim from Bagdogra (the nearest airport) is mostly the same. However, the 2015-16 statistics showed that Bengal is at number five in terms of foreign tourists’ arrival and number eight in terms of domestic tourists. Q. What are the top destinations in India in terms of foreign and domestic tourist visits? A. As far as foreign tourists are concerned, the top state has always been Tamil Nadu, followed by Maharashtra, Uttar Pradesh, the Union Territory of Delhi, and West Bengal. In comparison to 2015-16, there was an increase of almost 5.95% of foreign tourist visits in India. We are giving e-visa (electronic enabled visa) to 165 countries. 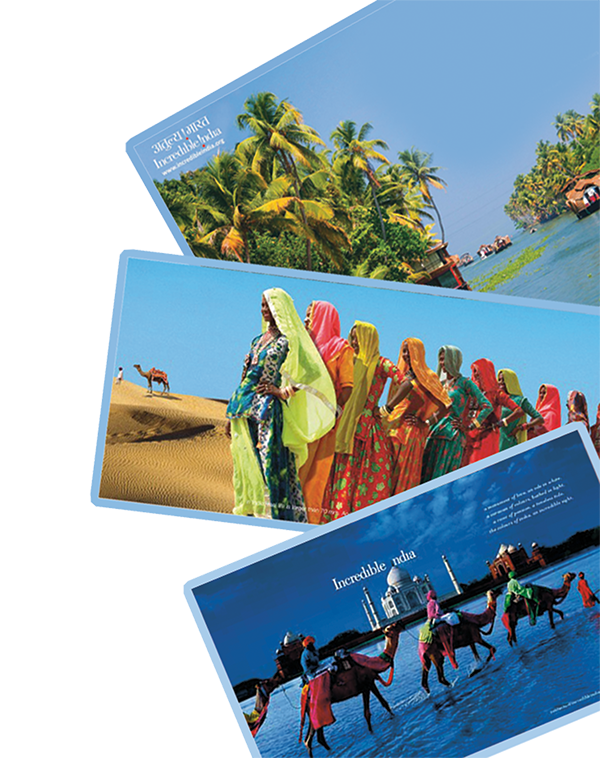 In domestic tourism, the top ten places are Tamil Nadu, Uttar Pradesh, Andhra Pradesh, Madhya Pradesh, Karnataka, Maharashtra, Telengana, West Bengal, Gujarat, and Rajasthan. However, the rank of West Bengal may go down this year because of the Darjeeling issue. Q. The current trend shows that Indians prefer to visit foreign destinations without visiting their own country. What do you have to say on this? A. The upper middle class are mostly visiting the foreign destinations. Price is a major factor as our airlines are providing tickets whose costs are almost at par with the airfare to Bangkok or Thailand. Some of the neighbouring countries like Sri Lanka attract more Indian tourists. In India, hotels and travelling are costlier as compared to neighbouring countries. Natural calamities like heavy rain, ethnic tension in north Bengal and other manmade incidents going on in Haryana are also likely to affect tourism mostly because of safety and security issues. Nonetheless, we are also developing infrastructure for better connectivity. States are also getting funds for developing tourist spots and sites through Swadesh Darshan and Swadesh Prasad schemes. We are also going to implement ‘Swachhta Pakhwada’ for inculcating habits of cleanliness and plan to boost the Swachh Bharat Abhiyan in different states. Q. What are the special packages introduced to attract more domestic as well as international tourists? A. As of now, we are promoting cruise tourism, which is for the top market clients. Most of the takers are from overseas and the package is charged in dollars. This is boosting our economy. We are also working on wellness tourism, golf tourism, MICE and film shooting tourism. Medical tourism is also improving as a majority of patients from SAARC countries are visiting India for treatment. In 2015-16, India witnessed the largest number medical tourists to India followed by Bangladesh. Q. Are there any special incentives that the government is offering to the tour operators? A. We give them certain amounts to promote tourism destinations as marketing development assistance. We also enlist agents in our website which increases their visibility. Likewise, we can also solve any complaints and issues that may arise between client and the agency. We have given free Wi-Fi in 400 railways stations across India. E-visa is also being given at sea ports. We have also given a toll free number (1363) which is in twelve languages to register tourist problems and queries. We are also participating in major international marts, conducting road shows, engaging tour operators and agencies to join various promotional works. At present, we rank 40th in the international ranking as per World Economic Forum. We are 9th in cultural resources and have jumped fifteen places in terms of safety and security. We are also getting good dividends. Q. What are your plans for World Tourism Day? A. On behalf of the Government of India on World Tourism Day, we are going to send a World Tourism Day message to all the service providers and urge them to provide special discount on room rents and food bills. We will also have certain giveaways at the airports.